The Boro, the big Virginia mixed-use development opening at the Greensboro Metro stop in Tysons Corner, has announced more retail stores. They will open later this year. 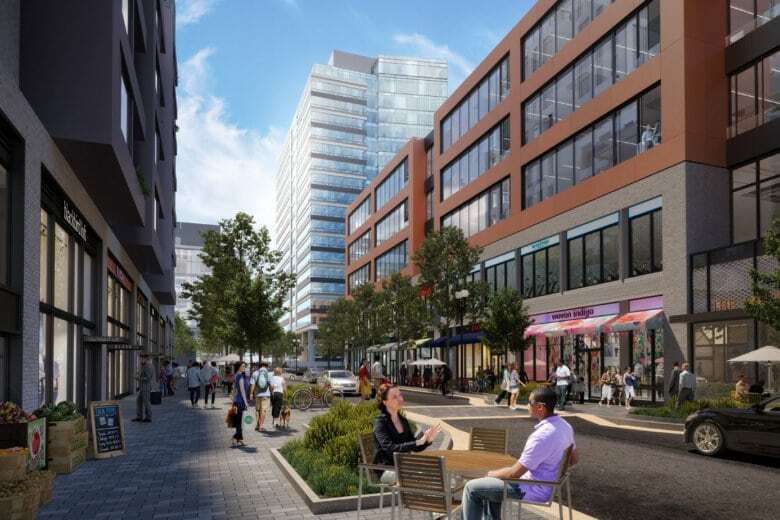 WASHINGTON — The Boro, the big Virginia mixed-use development opening at the Greensboro Metro stop in Tysons Corner, has announced more retail stores. Ethan Allen will relocate its Virginia Route 7 location to a two-story, 11,500-square-foot building at the corner of Boro Place and Westpark Drive. French bakery Paris Baguette will open its second Northern Virginia location in 2,600 square feet on the ground floor of Boro Tower, the 20-story office building at the corner of Broad Street and Solutions Drive. Paris Baguette’s other location is in Centreville. Akira Ramen & Izakaya, whose original location is in Rockville, Maryland, will open its second location in 2,000 square feet on Boro Place, across from Whole Foods Market. Akira Ramen is one of few restaurants that makes its own Soba noodles. Poki DC will open next door to Akira Ramen in a 1,400-square-foot space. Poki DC, with a menu inspired by popular Hawaiian Poke bowls, has three locations in the District, and others in Maryland in Gaithersburg and Rockville. Additional Maryland restaurant will open in College Park and Bethesda. Other new retail announced includes Tysons Nail Lounge and a Verizon Wireless store. Several other restaurants have already signed on for the Boro, including North Italia, Flower Child, Fish Taco, Tasty Kabob, Tropical Smoothie Cafe and Bluestone Lane. “We are thrilled with the mix of restaurants, stores and services coming to The Boro,” said Tom Boylan, senior vice president at The Meridian Group. All retail, including the Whole Foods store, will open later this year. The Boro is a 15-acre development from Meridian and Rockefeller Group that will include residential units, 1.9 million square feet of office space, a hotel and a 14-screen ShowPlace ICON theater. EDITOR’S NOTE: This story has been corrected to remove a business that signed a lease but has since gone out of business.